Water leaks under your slab not only damage your property, but they also increase your water bill. Cracks in the walls, excessive moisture under your carpet, and the sound of constant running water are all telltale signs that there is a leaking pipe under your slab that is in immediate need of repairing. At Mike Tilton Plumbing and Heating, we have the tools and knowledge to locate and repair your under-slab leaks, without causing damage to your property. When copper water pipes start to leak under your foundation, they can cause severe damage to your property. These leaks can be repaired by our plumbers by re-routing the route of the water line above the slab to eliminate the leaking pipe. After the water line has been re-routed, the leak can never recur, and no costly concrete removal and replacement is necessary. We do not believe this method of leak detection is necessary. Our technicians can begin repairs on a slab leak in a short amount of time, often costing less than the detection services. With detection services a large fee is charged and when the leak is located, the work to reroute has to begin as that point, instead of already having been started. 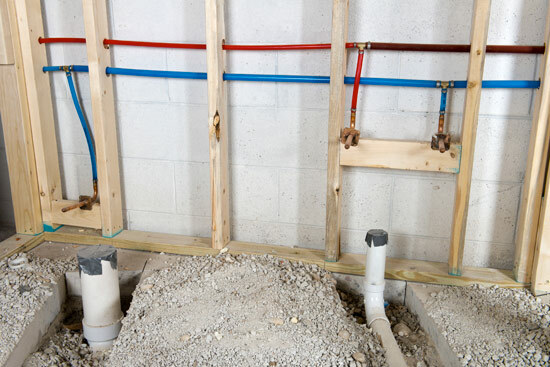 In most cases with municipal codes, it is required to have a backflow prevention device installed at every cross-connection point in the plumbing system of apartments, commercial buildings, condominiums, and public spaces. Backflow devices are also required on lawn sprinkler systems in a home. The kind of backflow device needed will be determined by the level of hazard at that location. At Mike Tilton Plumbing, our water supply protection specialist (WSPS) on staff is certified to install, test, and/or repair back flow devices. Backflow prevention devices normally consist of mechanical check valves that help to prevent dirty water from flowing back into the clean water supply. This is extremely important to have installed during any unexpected event or a big change in water pressure. When properly installed and maintained, the backflow device will keep your drinking water safe and free of any harmful contaminants. It is required by law to have these devices tested annually and our team can install, maintain, and test these systems with ease. Protect your home from leaks and other hazardous situations. Call us today to remedy your water leak problems!